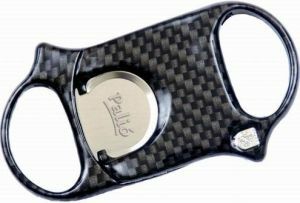 Carbon Fiber Palio Cutter Discounts Apply ! Introducing the NEW Carbon Fiber Palio Cutter! Palio Cutters come with a nice carrying case as well! The Carbon Fiber Palio is not made of carbon fiber, it is made of a state of the art engineering polymer that has the appearance of Carbon Fiber. The finish compares to carbon fiber interiors in luxury and sport cars. I've had one of these cutters for 8 years now and it looks good and still cuts beautifully. These are worth every penny. Best cutter I've ever used.